Unfortunately, we are not very wise or intelligent. Yet neither do we easily forebear with those we perceive to be fools. As a result, we can engage in the most inexplicably strange behavior. In the name of tolerance, we can even become intolerant. Such is the intolerance I experienced when I visited Broken Windows at Renegade Press. Check out the comments. When the host could not logically defend his position, he quickly transitioned to an ad hominem attack. Here is the basic rationale. What is peculiarly ironic is that Chris Nicholas, the host at Renegade Press, had more negative things to say about about the Christian Bible (this comment) than I did about Muslims. So what is this about? As Gregory Koukl explains in The Myth of Tolerance, we have carried “tolerance” to an illogical extreme. Because it requires us to believe there is no truth, it is nonsense to say all religions are the same. Yet that is what multiculturalists want us believe. Multiculturalism is firmly enthroned in the United States, and it apparently has a stronghold in Australia, Nicholas’ homeland, as well. The state of New South Wales, just south of where Nicholas lives, seems to have the most multicultural resources online. So let’s consider what they call the principles of multiculturalism (from here). promoting and maximising the value of our diverse cultural and linguistic heritage to develop NSW. Contrary to principle 3, government does not exist to create opportunities for us to participate in public life. That is just a waste of money. Principle number 4 contradicts itself. If all cultures are equally wonderful, why does English need to be THE common language? If all cultures, languages, and religions are equally wonderful, why does English have to be favored? Isn’t diversity wonderful? Differences don’t make a difference, right? Principle 5 explains what is meant by principle 3. What multiculturalism is about is buying votes. Principle 6 is plainly insane. Any cultural group that seeks to maximize the diversity of its cultural heritage for the sake of diversity does not know how to value what is good and trash what is bad. Multiculturalism is a religion. Multiculturalism promotes what are effectively religious beliefs. One truth is as good as another. Diversity is the highest goal. Tolerance is the highest virtue. Feelings matter more than reality. Self-esteem is what matters. Why Do Governments Promote Multiculturalism? Why promote such nonsensical beliefs? Just think about the rotten education children receive in government-run schools. Unless we were taught to accept such a system, how else could they get away with it? 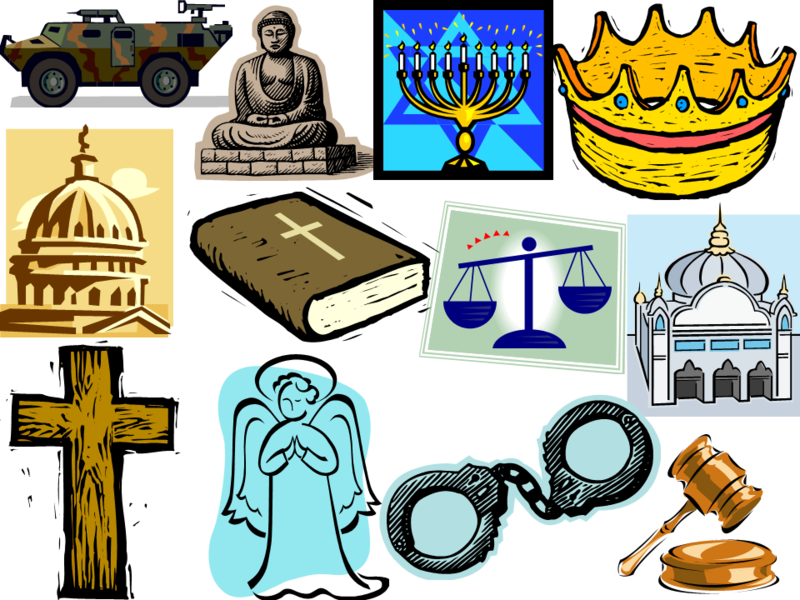 If all religions are the same, what do we need a religious education for? If all cultures are equally good, what is the point of passing our traditions onto next generation? If one truth is as good as another, does it matter what children learn? If diversity is the highest goal, then to ensure the highest degree of diversity, government must run our educational system. If tolerance is the highest virtue, we can never tell anyone they are wrong. Because we are all sinners we all love this virtue. That’s because no one can tell us we are wrong. If feelings matter more than reality, then making people feel good about themselves must be every educator’s most important job. Multiculturalism gives us an excuse to let government educate our children. Yep! Don’t we want our little dears to be educated in a diverse environment? What does it matter if they don’t learn anything except to love themselves? That’s stupid, right? However, if we never learn anything about God and what He expects from us, why should we care? If we have not been taught the faith of our forebears — if we are ignorant of God’s Word — why we would we insist upon taking responsibility for the education of our own children? That’s a lot of work! If someone who does not believe in either Christianity or Islam says we must treat all religious beliefs as if they are the same, why should we listen to him? Calling it “tolerance” does not change the simple fact that Christians, Muslims, Hindus, Buddhists, and so forth all believe different things. Our ancestors use to worship wood, stone, and metal idols. Some of them even sacrificed their neighbors to these idols. Are we suppose tolerate that? Just because we show respect for an idol worshiper who believes in human sacrifice does not mean that if given a chance he won’t try sacrifice us to his god. How people behave depends BOTH upon how we treat them and what those people believe is right, and the recognition of that truth does not make us bigots. In fact, in their hearts multiculturalists realize as much. That’s why multiculturalists fiercely assault anyone who disagrees with the principles of their religion. In their hearts, they know what they believe is a lie. That’s why they shut down any real discussion with so much alacrity. Think about the number of times you have seen a column like this: Too many universities deal with unpopular speech by banning it (www.washingtontimes.com). When people believe something that makes sense, they are eager to discuss it. However, when they believe a lie, they don’t want to hear a word of disagreement. Therefore, our job is to learn the truth, tell the truth and live by the truth. We must read the Bible, study it carefully, and learn its wisdom. We must share the Word of God in fellowship with other Christians and with those unbelievers who are willing to hear. We must live by what the Bible teaches. That includes making certain our children receive a proper education that includes Biblical instruction. We must forebear with the disagreement of those disagree with us. That does not mean we should pretend the disagreement does not exist or that it has no consequences. What we believe affects how we behave. Otherwise, we do not truly believe what we say we believe. Western Christian stereotyping of Islam is at best, ignorant, and more likely hypocritical and bigot (www.abovetopsecret.com) and The Truth is, Religious Bigots, if Islam is Not a Religion, Neither is Christianity (www.politicususa.com): Here are examples of how defense of Islam by a multiculturalist quickly degenerates into an ignorant attack upon Christians and Jews. THE NATURE OF RELIGIOUS BIGOTRY. An essay by Swain and Eric Wodening (www.religioustolerance.org): Here we have the multiculturalist’s definition of a bigot. A new low in anti-Muslim American bias (www.cnn.com): I don’t know anything about Oklahoma state Rep. John Bennett, but I think that the video of British Prime Minister David Cameron castigating ISIS severely weakens his case. Of course, Cameron begins by saying that the Muslims in ISIS are not Muslims. Nope, Islam is the religion of peace. Prejudices about Islam will be shaken by this show (www.theguardian.com): Here we have an article that proclaims the religious tolerance of Islam. When Muhammad took over Mecca, he managed to do it peacefully. Of course, he was born there. Medina, however, is where he first established his base of operations. CAIR: Franklin Graham Repeats Attack on Islam (www.prnewswire.com): Here we have an example of how CAIR attacks those who speak the truth about Islam. Listen to the video. On your other thought Tom, Liberals are concerned with Islam, Bill Maher is one of them that has been getting flack for actually recognizing the danger. Well, I guess we have to give Maher some credit for having the courage to say what he thinks. Tom, the gentleman posted a reply post on his blog today; you may want to check it out. I am sure you are correct that he has good intentions, but as ole’ saying goes something of the nature, “Good intentions pave the way to hell.” It’s a shame that he has so many followers and those who like and approve his message, because his message is one that condones immoral behavior by denying basic human rights. I am disturbed by this to a degree, because this facile understanding of the geopolitical ramification of this ideal of “tolerance” will create more “tolerance” is certainly obtuse. I replied to his charge, again, I challenged his reasoning on an intellectual level that would produce a linear thought process and logic. It appears that he was not up to the task intellectually as he deleted my comment. I thought he was all for “Freedom of Speech and Tolerance”, apparently not. The multiculturalist must rely on circular logic only to argue their ideals, because when asked to produce facts, data, and logical assertions to defend their believes they fall short. He could not acquiesce my challenge simply because his obstinance is greater than his reason, which when a great many accept this; those who seek truth on in trouble. I appreciate the sentiment of peace, but you were never an enemy of mine. It’s interesting the above comment considers Tom’s view as well as my own as “narrow”. You wish peace, and it’s a noble cause. I ask you to consider this, as you attempt to sew the seeds of peace amongst your own people, do you recognize that there are a great many on the other side of the coin that are even more zealous about their religious fervor than someone like Tom who wishes simply to quote scripture? The data that I posted indicates a great many in the muslim communities who seek to harm the humanity of their own people as well as harm those who do not subscribe to their faith. In your ideal world of multiculturalism are you okay to tolerate this behavior? As your assertion was that a great many were vilifying the Islamic community because of a few terrorists, my refutation to that assertion was that possibly a majority of muslims in the world wish to install some form of Sharia law into many governments within our world, which I deem barbaric as it denies many basic human rights? In your view of multiculturalism is okay for one community to tolerate those who violate human dignity? Many will be persuaded by your circular logic of refusing to address refutations, they will also be persuaded by subtle ad hominems; for example, “Intellectual broadsword and defacing my site with your viewpoint. I would never come on to your site and mar it, so when you did so to mine I bared my fangs and told you to disappear in terms that could only be defined as unpleasant.” As you are not addressing the data presented to you and using circulus in probando to attempt to persuade your argument as correct. In layman’s terms your using the emotional ideals of Multiculturalism to prove that Multiculturalism is the correct course for peace. You certainly do not help your cause by denying those who refute your assertions through validated data, this in logic is called: “Contra factum non valet illation” Basically, “no strong assumption can contradict fact”. I remember about a decade ago I wrote a stirring piece about Islamic and Christian peace, and in the piece I had even condemned Christianity for its sins towards Islam in the Crusades. However, those times were vastly different, those knights were evil men, but not because of their religion, they were simply just evil selfish beings whose goal was conquest. The nations and kingdom of those Western Christian nations were also sectarian. However, as those nations moved through 20th and now the 21st, which now includes North America’s vast Christian communities, those nations have adopted secular governments born out of the age of the enlightenment. People stand against Islamic community because as the data indicates, again the data; not merely my opinion, a great many wish to take us away from these secular communities born out the Age of the Enlightenment back to the days of medieval times of the Crusades. If you want to help your cause prove with logic and facts that my assertions are wrong. Prove that Sharia law doesn’t violate Natural law which is inherent on the principles of logic. multiculturalism definition. The view that the various cultures in a society merit equal respect and scholarly interest. How can one respect another that teaches it is right to kill or harm another? How can a public school teacher explain to a child to respect someone who believes it is right to kill or harm another because of a religious belief?. In my opinion, the basic conccept of multiculturism and tolerance for all religions that do not share the same basic values for human life is folly. Chris Nicholas probably means well, but think about what he said about the Bible. He has never received a decent Christian education, and that is the norm these days. He doesn’t understand that we have religious freedom only because of Christianity. That poll and others like it should frighten Liberals, especially those in Europe. I wonder why that poll doesn’t include France, England, and Germany, but such surveys do exist (http://www.gatestoneinstitute.org/4092/europe-islamic-fundamentalism for example), and the results are bad news. You are well versed in history. You know the barbarity of the people who called our ancestors barbarians (and our ancestors were barbarous). Without the influence of Christianity, there would be no Western Civilization such as we know it. We would most likely be just as intolerant of religious freedom as any of the Muslim nations. Think about how the Romans viewed freedom of religion. When they conquered a land, they adopted that conquered land’s gods, thinking it made them stronger. Because the Jews would only worship one God, they thought the Jews intolerant. When the Jews and the Christians refused to worship the Emperor of Rome (and later Constantinople), that didn’t go over well. The Romans saw that as disloyalty. Because Islam is a theocracy with a more highly developed doctrine, in Muslim nations Muslims persecute non-Muslims with much more vigor and persistence than the Romans ever persecuted the Christians. Muslims may not be any more hateful, but their persecution is definitely more organized. Hence, Christians tend to be quite scarce in Muslim nations. It is the state religion where they makes rules in defiance of God’s rules! Early Christians were in conflict when Jewish Christians asked if Gentiles were welcome to join and if circumcision was needed, that believers had to be fully Jewish to be fully Christian. Thankfully, it was decided that Gentiles were welcome to join without circumcision being required of them. Modern Christians should follow their example and use our cultural differences to unite in our common faith. As to those outside of the faith, we should remember the golden rule – and treat them well. Christianity was once the religion of women and slaves, now it might be ruled by old Caucasian men, but believers come from all nations, tribes, and languages – it should exemplify multicultural harmony. If done right, the world will take notice and take notes. The New Covenant established by Jesus did away with circumcision, not an arbitrary decision by men. God makes the rules. We either choose to live by them, or we don’t. Then come the consequences. One of the rules God established is the Golden Rule. We should treat others as we wish to be treated, with grace and truth. Thus, we should forebear with Muslims, Hindus, Buddhists, and so forth just as we wish for them to forebear with us. We can be kind, but it is no kindness to gloss over the truth. When we say all religions and cultures are the same, we pretend something is true that is not true or even helpful.